Discussion in 'GT Academy' started by GTPNewsWire, Feb 12, 2019. This article was published by Andrew Evans (@Famine) on February 12th, 2019 in the GT Academy category. 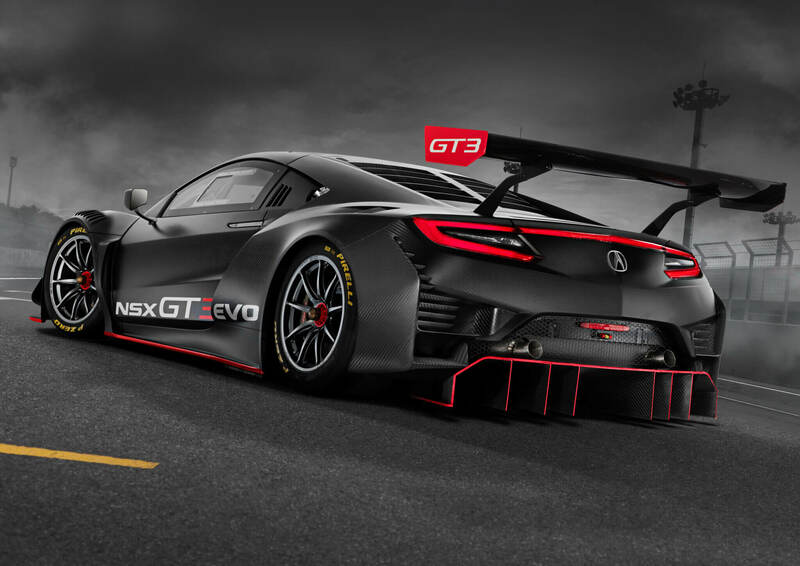 Yay maybe more Honda’s and Acura’s in GT Sport!! FK8 Type R and TLX A-Spec have a higher chance yay! Animedeaf and 24HuresdeLoL like this. I’m not entirely sure if I understand how RJN Racing switching to Hondas means GT Academy is dead. Since GT Sport came out, I didn't see any affiliation with Nissan (marketing or partnership). But E-sport took a big interest in GTS. Maybe to combinate E-sport and GT Academy is not very interesting. GT Sport is not a part of GT series (clear now, but wasn't at the beginning), PD always said it was an online competition game (E-sport). Maybe GT Academy will return with the next GT game (not optimistic, stopping a racing programm ). How can Button be a silver rated driver? Snaeper and TamasToth like this. "RJN Motorsport, the racing team tasked with managing the winners’ racing careers, has switched to Honda, after nearly 20 years of association with Nissan." RJN's switch isn't the cause of Sony/Nissan GT Academy ending, it's the indicator of it. As we also mention, Nissan has rejigged its entire motorsports portfolio. Lucas and Alex - both drivers that GT Academy and RJN relied on to co-drive both Dubai and all other GT4/GT3 races - both lost their Nissan contracts (or rather did not have them renewed for 2019) making them unavailable (or financially unavailable; they'd need to bring their own funding rather than Nissan money) to RJN. Nissan as a whole has no interest in running any factory GT3 cars this year, only supplying to customers like Gainer, KCMG and Kondo for IGT3 and GT300. There's no Blancpain effort, for example. Essentially Nissan has stopped its factory GT3 program, meaning no Nissan drivers or sponsorship for RJN, which in turn means that if Sony/Nissan GT Academy were to take place, there's nowhere for the winning drivers to go... so it won't. He old. Possibly also he doesn't have a super licence any more (they're valid for two years, I think) and doesn't drive LMP-class cars (Edit: Actually, he will in 2019, as he's in the SMP Racing BR1...). Alonso's probably still a platinum. matzel and MIE1992 like this. Completely random comment: Its good that these articles are written by people who then participate in a post article discussion. I might be ignorant but I dont often see this kind of interaction on the internet. On topic: this is quite sad to see really. I never was a fast driver, but its always been my dream to drive racing cars. GT Academy was the only hope when I was young, and it ended up spawning some pretty cool success stories for the people who were fast enough. Great idea, great execution, sad ending. flanylla, Rustyhole, Gregfranklin and 3 others like this. Will Jenson Team Rocket be blasting off again? Snaeper and Imari like this. TBH it died as we knew it since Darren Cox left Nissan, Nissan GT-R LM Nismo failure probably caused it. He did create The World's Fastest Gamer since then and looks like Rudy will be racing for real this year. Will be interesting to see who they have partnered up for season two of The World's Fastest Gamer, by the sounds of it there will be opportunity to go from driving virtual to real. Shouldn't be long now. McLaren apparently doing Shadow again next month so another great opportunity there. Also so many F1 teams being involved with F1 Esports and the creation of eROC, seems now is the best time for racing gamers to get noticed. Also seeing sponsors such as ROKiT sponsoring Nic Hamilton, maybe the likes of them will be attracted to sim racing and that could end up seeing a substantial increase of prizes on offer. GT_Alex74 and Lawndart like this. That was my first thought as well. No one calls themselves Team Rocket without at least some inkling of the humour that's going on there. sangdude82, Auditore and PSN offapple like this. Button is a former (current?) Super License holder and a factory driver for Honda so he's still a platinum. Drivers will be downgraded automatically once they reach 50 yo and further down at 55 before finally becoming a bronze at 60. He won't actually race I think. Rather only lending his name. Damn it's be awhile since I've gone to this forum..
That was one of my first thoughts when I saw the racing team name launched. Here's to hoping Nintendo does a sponsorship tie up. Is Nissan not participating in GT3 racing as a factory team got to do anything with Carlos Ghosn scandal? I'm guessing that if Nissan concentrates on Formula E and helping out their customer teams, may be they can reduce their motorsport budget big time? Its a tricky one... while I see this as a sign that the era is dying, you do have to look at overambition being the main culprit. Esports can provide a platform to fast-track those who have exceptional talent in the virtual world, give them a chance to undertake the development physically to then race for real... but you have to consider that real life karting and youth programs that manufacturers have been using for decades in their motorsport divisions. Nissan took a risk, and definitely reaped some benefits of that risk from GT Academy. Darren Cox spearheaded a plan that worked, but Nissan went too far with the LMP1 project... NOT because they tried it, but because they didn't allow Cox the time to allow the concept to refine and make it a success like they did with the GT Academy project. As my manager would put it, "it's a legacy issue..." and nobody has yet found themselves in a position to continue that legacy with the confidence to achieve as much success. GT Academy was also a marketing effort. If it wasn't for the LMP1 failure it would have slowly died anyway. You can't keep turning people into pro race drivers and put them in your cars forever, you will end up with not enough cars for them. Also the social impact of the new winners gradually shrinked every year. Several GT Academy winners, especially in the later years, didn't see their contracts renewed after the 1st year, despite showing great performances. Accroding to the GTP mods, it's officially dead. So...Why is this forum still up? As a memorial? Then why not lock it? Accroding to the GTP mods, it's officially dead. Yeah, we know. I wrote the article. A month ago. FoRiZon and Warbeast101 like this.